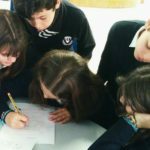 We have been preparing for the exhibition since September doing different activities, thinking routines and cooperative games that help students to complete their most important journey of the Primary Years. Now, as we are back from the Christmas holidays things have started to be a bit hectic. Our Exhibition is in full gear. Weekly diary follows. 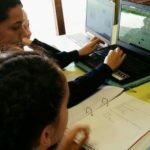 As I asked my students to keep track what was happening, I thought it would be a good idea if I wrote about it, too. 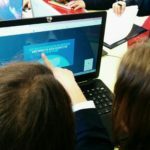 Previous years, we used KidBlog so students could write about their thoughts, feelings and progress there and their peers could leave comments, suggestions and questions about the others work. It worked wonderfully. Unfortunately, this year a lot of things changed so it’s a bit more complicated to give peer feedback. Anyway, we kept the idea of the Exhibition diary. Although, it’s on paper at the moment and not so interactive but it is still ok to record the progress. Although, before the holidays kids decided who they want to work with and what their topic was going to be, they came back to school and some have changed their mind either about the theme they want to inquire on or the group of kids they share the same interest and intend to work with. So we shuffled a bit, rethought the groups and some changes were made to start our work calm and happy. I don’t say it wasn’t a little hassle here or there but finally it is all set and everyone is ready to go, happy! As each group has different topics, obviously they couldn’t have the same Central Idea. 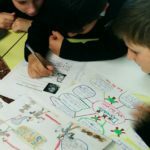 The first challenge of the year was for them to create their own, unique central idea and that was when they realised, it was not an easy task to do. Before they started, we read through the transdisciplinary theme and the descriptor. Our transdisciplinary theme is HOW THE WORLD WORKS. We had a class discussion about different parts of the descriptor to see how to start creating the central idea and which part of the descriptor is connected with each topic students would be interested in. As students broke the descriptor into little pieces, each group discovered and decided which part of it corresponding their topic. 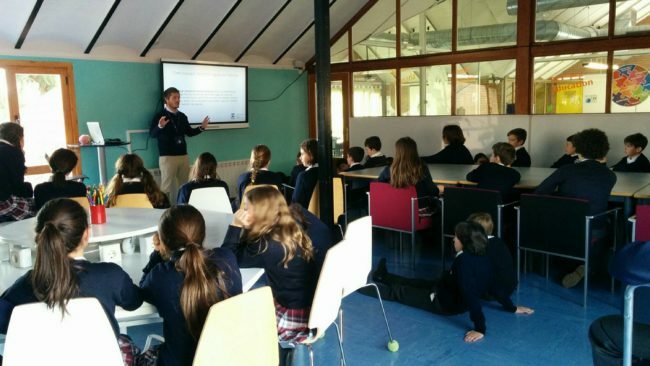 Some of them were interested in the interaction between the natural world and human societies, others on the impact of scientific and technological advances on society or the environment. So they had a clear understanding on the parts of the descriptor they could decide upon their central idea whatever they are really interested in. We talked about the characteristics of a good central idea and I gave them a check list they needed to complete after they had the first attempt to create it. Then, as they checked the list students saw wherever their idea does not match with the given criteria or how they can make it better. So they started to re-write it and re-write it again. Until the point they were finally happy with their self-evaluation. 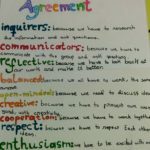 Essential Agreement with PYP Attitudes and IB Learner Profile. 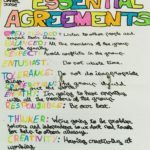 As students work in their chosen groups, they created their own Essential Agreement which they agree to follow during the time they work together. 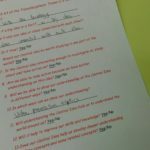 Before they started with it, we looked at the IB Learner Profile to see how important was to use all of them. We also had a short reminder of the attitudes. 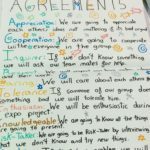 I quick brainstorm what to do include that attitude in our essential agreement and during our exhibition journey of inquiry. 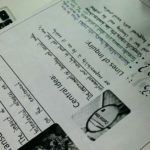 To help kids start with their lines of inquiry, we talked about different key concepts first and told the groups to choose a couple of them which they could write their inquiry around and fits best with their topic. We had a good chat about all of the key concepts and the corresponding questions to help them think about their questions. 1. Form: What is it like? Everything has a form with recognisable features that can be observed, described and categorised. 2. Function: How does it work? Everything has a purpose, a role or way of behaving that can be investigated. 3. Connection: How does it connect to other things? The universe is a connection of systems made of individual parts that work with and effect each other. 4. Causation: Why is it like it is? Things do not just happen. There are always reasons behind events. This is cause and effect. 5. Change: How has it changed? Everything is always in a state of transforming from one state to another. This happens to everything and everyone. 6. Perspective: What are the different points of view? Different ways of looking at information. This leads to different interpretations, understanding and findings. 7. Responsibility: What is our responsibility? People make choices based on their understanding and knowledge. The actions they take as a result, make a difference. 8. Reflection: How do we know? There are different ways of knowing, it is important to look at our conclusions, to think about our reasoning and evidence we have used. How to search on the Internet. We had an Assembly with our IT teacher who reminded us different aspects of the Internet. He talked about how to use keywords or sentences during research, how to stay safe on the Internet and how to cite different resources. Although the majority of the kids were aware of these simple things, it still was a useful session as now it is emphasized and crystal clear for everyone. And it is the best time to put this knowledge into practice.